Last year, I visited Springfield, Illinois to follow the life and ideas of Abraham Lincoln while following in his footsteps. 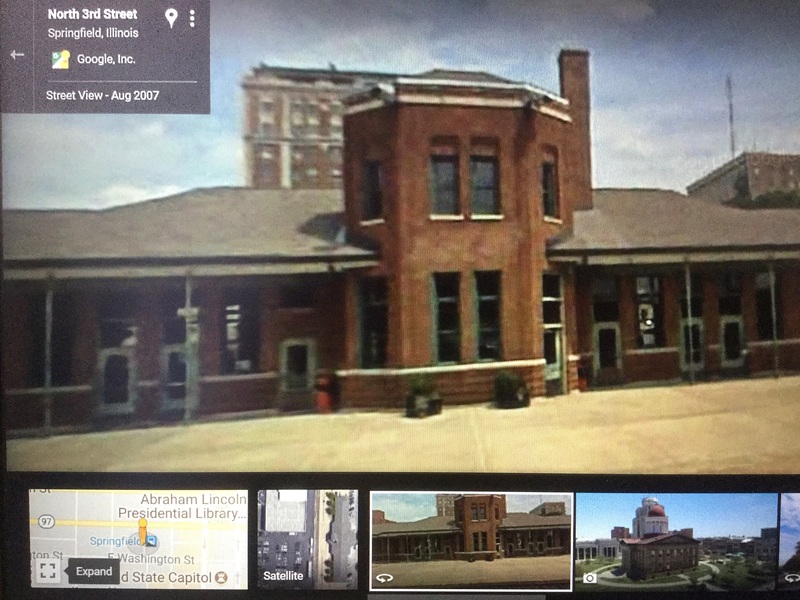 The last Springfield site associated with Lincoln that I visited on July 29th, 2017 was the train station at 100 N. 3rd St. 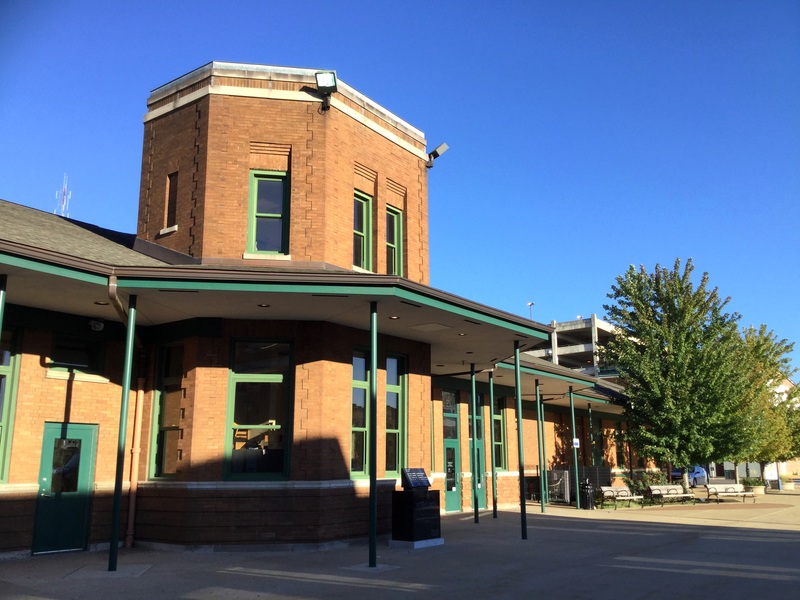 The brick station, though plain, has clearly been spruced up since the photos featured on Google Maps, dated 2007, that I find on the day I write this. There’s now a shady porch over the outdoor waiting platform, new paint and benches, and a handsome stone marker signed by Katie Spindell. 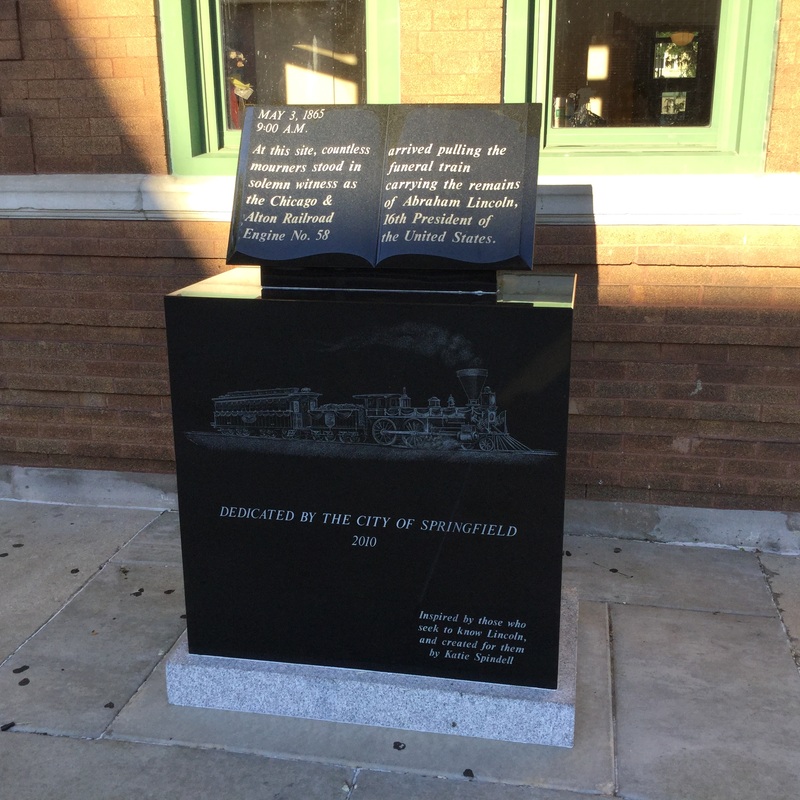 The marker commemorates the May 3rd, 1865 arrival of the funeral train carrying Lincoln’s assassinated body. He lies buried at Oak Ridge Cemetery, in the city where he established his legal and political careers, married, and raised a family. Read more about my Lincoln travels in articles linked here, or listen to the podcast versions.